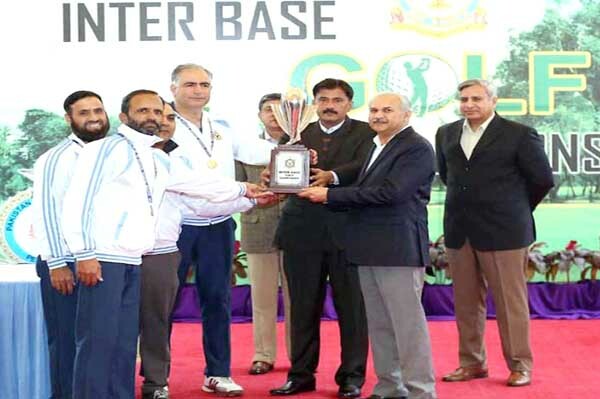 ISLAMABAD, Jan 21 (APP):Pakistan Air Force (PAF) Academy Asghar Khan displayed superb skills to win the PAF Inter Base Golf Championship 2019 that took place at Peshawar Golf Club, Peshawar.PAF Base Peshawar finished second, while PAF Base Mushhaf ended third to take away net prizes, a spokesman of PAF said here on Monday. nearest to pin was won by FL Abdullah In the individual category, WC Ammad Younas and FL Aneesclinched the first and second net prizes respectively, while first and second gross were claimed by SL Adeel Hashmi and WC Atif Hussain. trophies and prizes to the winners.